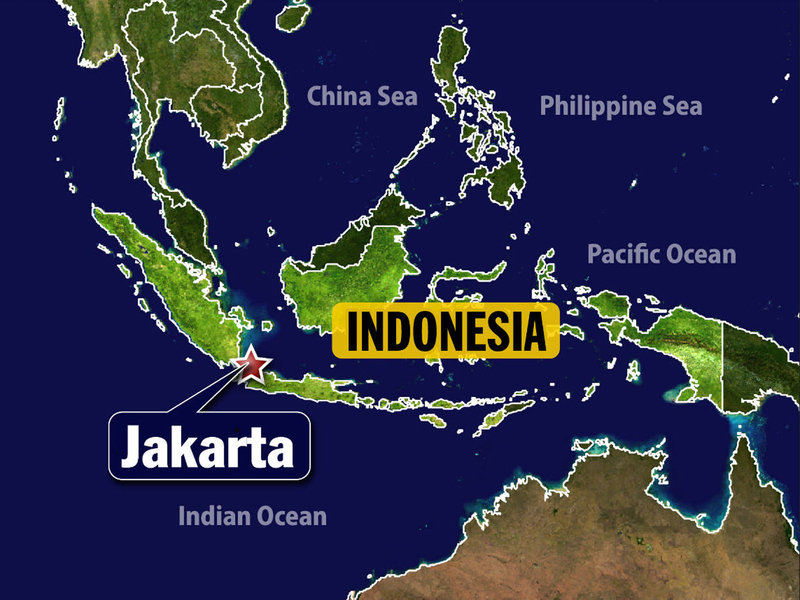 JAKARTA, Indonesia A strong earthquake jolted eastern Indonesia on Friday, sending panicked people running out of their houses and buildings, but there were no immediate reports of damage or injuries. Indonesia's meteorology and geophysics agency said there was no danger of a tsunami, but the Pacific Tsunami Warning Center said there was a "very small possibility" for a tsunami near the epicenter. The U.S. Geological Survey says the quake measured magnitude 6.7 and was centered 108 kilometers (67 miles) north of Dobo village, at a depth of 24 kilometers (15 miles). Victor Siahaya, a resident in Dobo, a closest village to the epicenter said that strong earthquake shook everything at his house, forcing him and his family run. "It was so strong... many people screaming while running in panic," Siahaya said, "But I don't see any damage in my neighborhood." Indonesia, the world's largest archipelago nation, is prone to seismic upheaval due to its location on the Pacific "Ring of Fire," an arc of volcanoes and fault lines in the Pacific Basin.